HSM - Watch your step! Home> Slips, Trips & Falls >Aerial Access Equipment >Watch your step! Home> Slips, Trips & Falls >Fall Prevention >Watch your step! Slips, trips and falls are associated with more fatalities and major injuries than any other kind of workplace accident and the misery and suffering that they cause is incalculable. That makes their prevention a pressing management concern. The central challenge facing those responsible for managing health and safety is to identify, and then place control and accident prevention measures into work environments. There were 78,000 non-fatal injuries to workers reported by employers between 2014 and 2015, and among the most frequent causes of injury were slips, trips and falls from height. Personal protective equipment: This is the last line of defence. Minimising slips, trips and falls risks might involve equipping workers with safety footwear or fall protection harnesses. Once you have assessed the viability of the first two – elimination and substitution – it’s time to implement engineering controls. 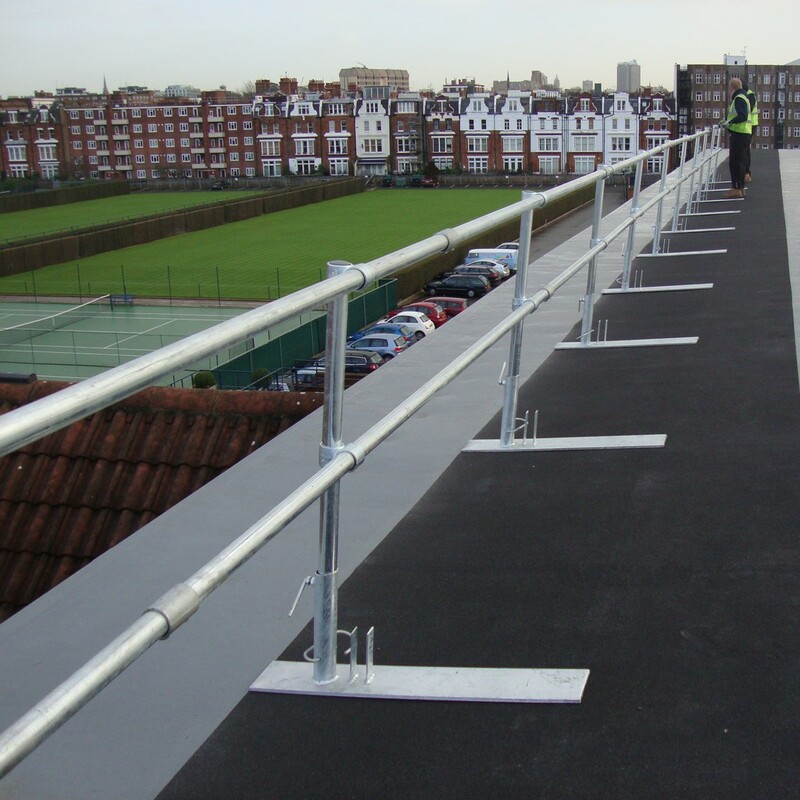 The right access equipment is essential to prevent slips trips and falls on a crowded roof with pipework and training cables all around as well as bulky equipment such as air handling units, condensers and chillers. Indeed, it has been a criminal offence since July 2014 to supply structural metalwork unless it conforms to EN 1090. Buyers of structural steel and aluminium products are responsible for ensuring that what they purchase is procured only from an accredited company. Part 1 of the standard calls for CE Marking, which demonstrates compliance with the appropriate manufacturing standard for a product. The CE Marking is the manufacturer’s declaration that the product meets the requirements of the applicable European directives. EN 1090 Parts 2 and 3 explain how to ensure the competence of welders used on products. Before being able to weld products deemed to be of a structural nature, each welder has to undergo weld tests against an approved weld qualifying procedure. This process needs to be verified by an independent verifier, the test welds being subjected to x-ray examinations to ensure that a good quality weld has been achieved. The path to compliance can be complex. That’s why it pays to consult an expert who, at the very least, complies with this stringent standard.